Stunningly dark, hugely intelligent and thoroughly addictive, Ghostman announces the arrival of an exciting and highly distinctive novelist. When a casino robbery in Atlantic City goes horribly awry, the man who orchestrated it is obliged to call in a favor from someone who’s occasionally called Jack. While it’s doubtful that anyone knows his actual name or anything at all about his true identity, or even if he’s still alive, he’s in his mid-thirties and lives completely off the grid, a criminal’s criminal who does entirely as he pleases and is almost impossible to get in touch with. But within hours a private jet is flying this exceptionally experienced fixer and cleaner-upper from Seattle to New Jersey and right into a spectacular mess: one heister dead in the parking lot, another winged but on the run, the shooter a complete mystery, the $1.2 million in freshly printed bills god knows where and the FBI already waiting for Jack at the airport, to be joined shortly by other extremely interested and elusive parties. He has only forty-eight hours until the twice-stolen cash literally explodes, taking with it the wider, byzantine ambitions behind the theft. To contend with all this will require every gram of his skill, ingenuity and self-protective instincts, especially when offense and defense soon become meaningless terms. And as he maneuvers these exceedingly slippery slopes, he relives the botched bank robbery in Kuala Lumpur five years earlier that has now landed him this unwanted new assignment. From its riveting opening pages, Ghostman effortlessly pulls the reader into Jack’s refined and peculiar world—and the sophisticated shadowboxing grows ever more intense as he moves, hour by hour, toward a constantly reimprovised solution. 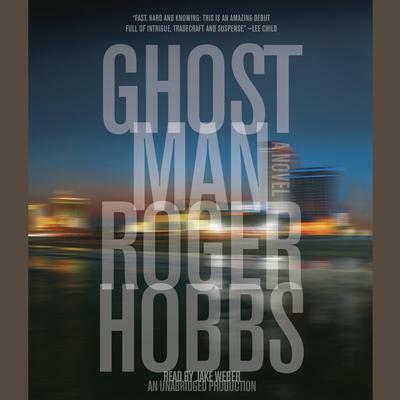 With a quicksilver plot, gripping prose and masterly expertise, Roger Hobbs has given us a novel that will immediately place him in the company of our most esteemed crime writers.